We have always prided ourselves on both the high standards of distiller that we get through our doors and of the levels of knowledge that they impart on our patrons….however, a Havana Club tasting evening was always going to be a little different. From the moment Meimi Sanchez opened her mouth we all shut up. We were being addressed by a bona fide Cuban lady of the rums! 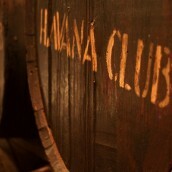 Havana Club’s part in Cuba’s social, economic and political development has been much like their method of making their rum, slow and steady; but it has ultimately made them a key player. Despite various factors (recent four day weekends, weddings and the fact it’s a Monday) suggesting that the great British public may have hung up their dancing shoes, there was a palpable excitement in the room, and excitement generated for the reason so many coalition-battered behinds [sorry, forgot to mention that Hector’s a musician, so he’s a bit of lefty – Ed.] were on the seats at Vinopolis that evening…… the Maximo! Of course, we had to be patient. After a walk through Cuba’s history and the role which Havana Club has played in the shaping of Cuban rum we got down to business. 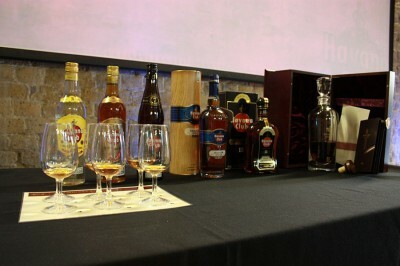 To help showcase their versatility, the younger rums in the range were offered up both straight and in cocktail form with complimenting canapés. 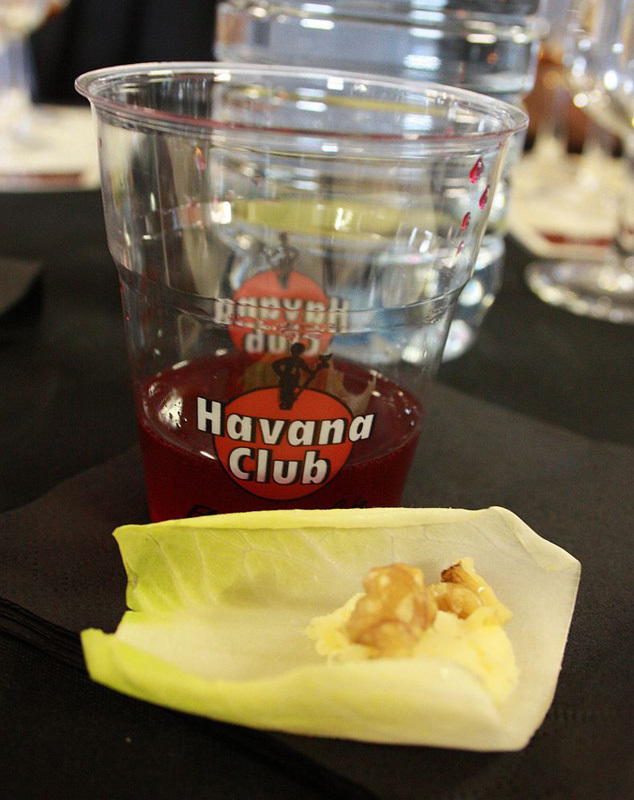 The grassy notes of the Havana Club 3 year old Anejo were put to good use in a superb, earthy beetroot daiquiri, complimented beautifully with Colton Bassett blue cheese and walnut served on a chicory leaf drizzled with lemon juice. The light vanilla maple notes in the taste and finish of this rum beautifully offset the sharp cream of the cheese and gave added caramelized goodies to the walnut on the way down! Next up was the Havana Club Anejo Especial, whose fruity spice twang was a great addition to the punch of mango, lime and ginger. This sweet tropical combo supported the piquant chorizo, goats cheese and quince membrillo mouthfuls that were lined up effortlessly. This was probably helped by the Especial’s richer, spicier, sweet notes which formed a great bass from which the more vivid chalky, tart notes of the goat and the smoke of the chorizo could play from. The final cocktail was a short drink named a Mulata, made from Havana Club 7 year old, lime juice, sugar and Mozart Dry (a chocolate spirit, lush) and accompanied by a Rabot Estate 50% cocoa chocolate with caramel flecks. The richness of the 7 year old, with its black coffee and raisin-heavy nose, rich fruit and dry spicy palate was amplified tenfold by the artful use of the chocolate spirit and the citrus, which set off the heavy buttered creaminess of the chocolate to great effect. After a short recess for the smokers amongst the congregation to relieve their lungs of excess oxygen, and for the rest to blow some hot air, the second session was called. 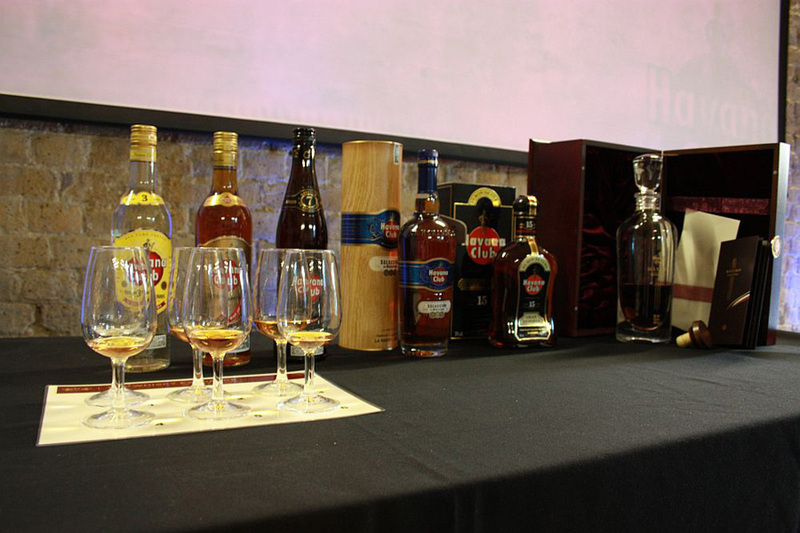 The new Havana Club Seleccion De Maestros, previously known as Cuban Barrel Proof, was the rum to kick off the second half – and kick it off it did. 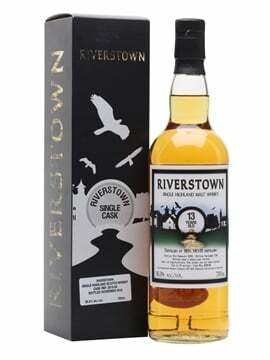 With an average spirit age of 10 years old in the mix, this rum ushered us into the second session of more mature rums with an expressive nose of soft fruits, peach and light citrus notes giving way to a palate very akin to the bourbons made across the water in mainland America. Piney and caramel-heavy, this mouthcoating rum gave way to a creamy, spicy finish that begged a repeat visit and geared us all for the joys to come! [Editor’s Note: At this stage of his write-up Hector was indisposed by having to get off his posterior and do some work in the shop. On his return from this tiresome interlude, his tasting notes had mysteriously disappeared, perhaps having been purloined by a desperate rogue fan of his tight homemade trousers and whimsical tuneage, or dumped in the bin by jealous rivals who resented his superior vocabulary. The following short passage and tasting notes were therefore written by your editor Tim F, for which apologies]. So we moved on the two heavyweights of the evening and the Havana Club 15 year old was first up to the pitch. The rums used in the assemblage for this notoriously difficult-to-find rum have been aged a minimum of 15 years and range up to 35 years old. The nose is redolent of rich mocha and mixed peel, with raisins, dates, stewed fruit and strawberry tobacco and pervasive but not overpowering oak. The palate had an excellent chocolate fruit cake character, laced with orange liqueur and chocolate lime sweets, before a short-ish, drying, nutty finish with residual oak. And with that, the hour had finally arrived to lift the last glass of the evening and introduce ourselves to the much-revered Havana Club Maximo. The nervous excitement from the assembled spirits nerds was palpable. A cognac-esque nose with lots of raisins and grape; big oak and cigar box aromas. 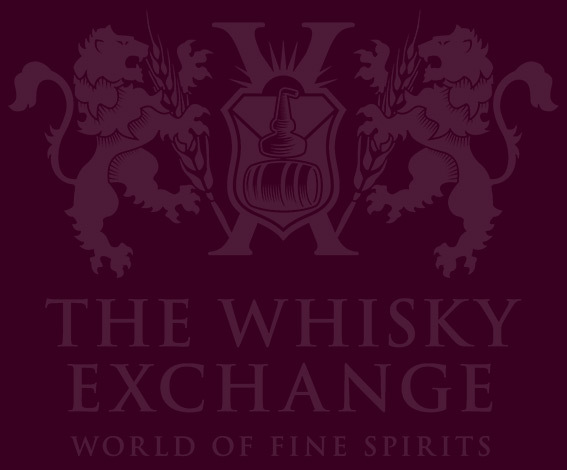 Develops bourbony notes with well-integrated tobacco and muscovado aromas. Delightful. 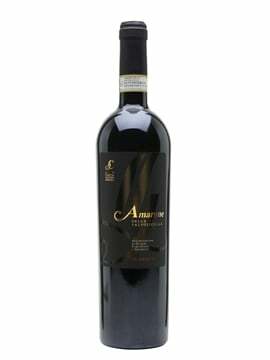 The palate is medium-bodied with a hyper-silky mouthfeel. 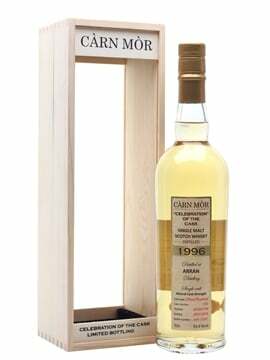 The palate itself shows ginger, cinnamon and abundant dried fruits, especially dried lemon peel and truckloads of dried apricot alongside soft, fine-grained tannins and oakspice. The finish is sweet and drying with notes of cocoa powder. Doesn’t hang around too long on the finish, and the whole is not as full-on and intense as fans of cask-strength whisky would hope for, but that’s not what they’re trying for – this is instead a very elegant, subtle, intricate, gentle rum: the epitome of Cuban sophistication. 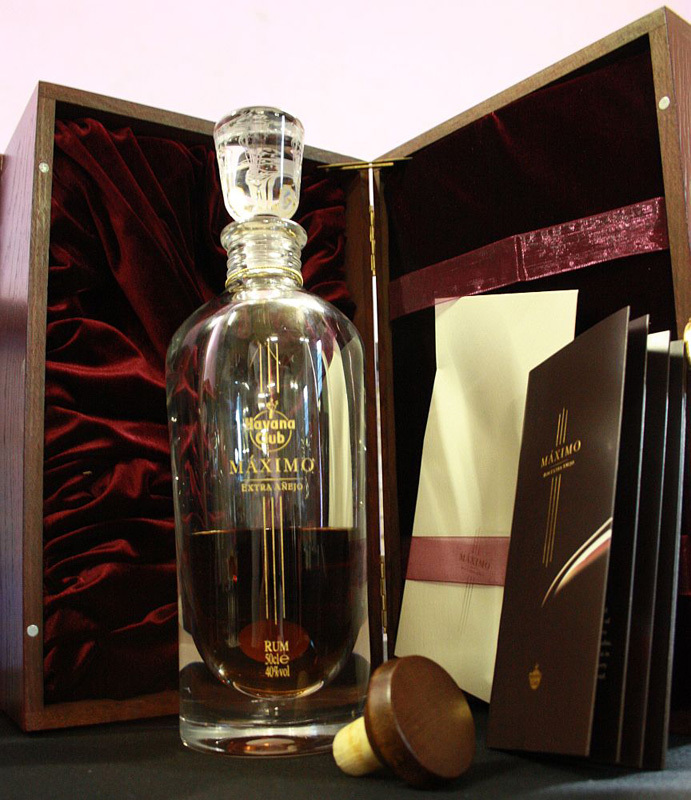 Spirits continued to run high as the announcement of our Maximo competition hit the rapt ears of the recently converted. The competition is simple: anyone savvy enough to buy a bottle of the fantastic Seleccion De Maestros for a paltry £40.75, will go into a draw to win a bottle of Maximo (worth a far from paltry £1150!). This competition is still open to anyone who purchases a bottle of the Havana Club Seleccion de Maestros before the end of May, at which time the draw will be made and the winner revealed. Full details here. To say that sales of Maestros went well in the aftermath of the tasting would be an understatement. Upon returning to the shop following the post-tasting clear up, I found Duncan, fire extinguisher in hand, with a bewildered look on his face simply mumbling “the till went on fire” again and again. Our thanks must go again to our host Meimi Sanchez for a memorably successful event.